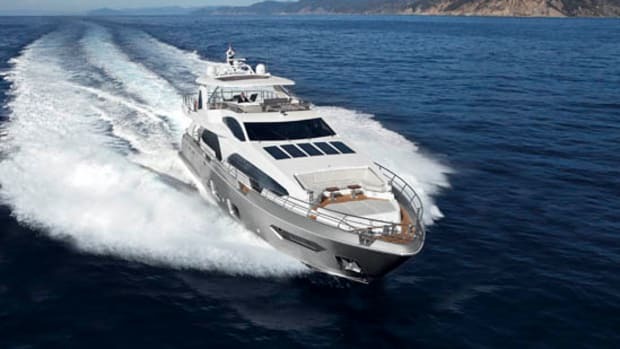 The Azimut Grande 35 Metri is sure to make a splash at every port she will visit. But it’s the engineering and design of this widebody yacht that really struck our eye. 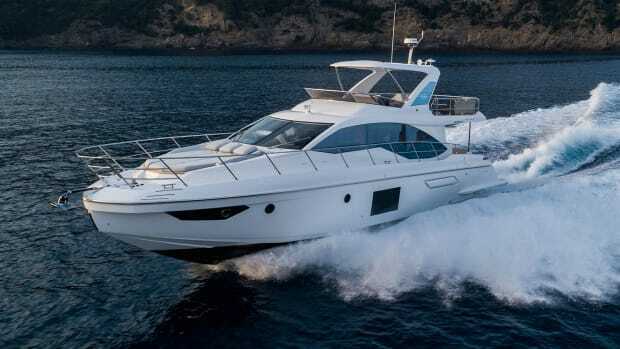 When a boatbuilder of the magnitude of Azimut Yachts, with its history of creativity and record of innovation, bestows the title of flagship upon a new launch, one must take notice, if for nothing else, to see why all the fuss. Actually, there’s no fuss and definitely no muss here. If one is looking for inventive design, look no further than Stefano Righini, who limned the exterior (and defined the concept). This yacht has a lot going on, and at better than 115 feet LOA, it should. 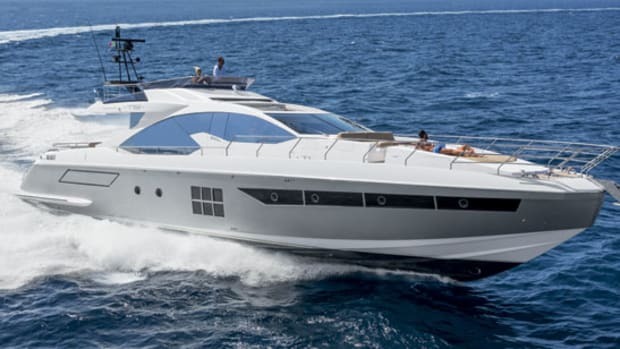 The Azimut Grande 35 Metri joins three other yachts in the Grande line, including the new 87-foot 10-inch 27 Metri, the 95 RPH, and the 120 SL. 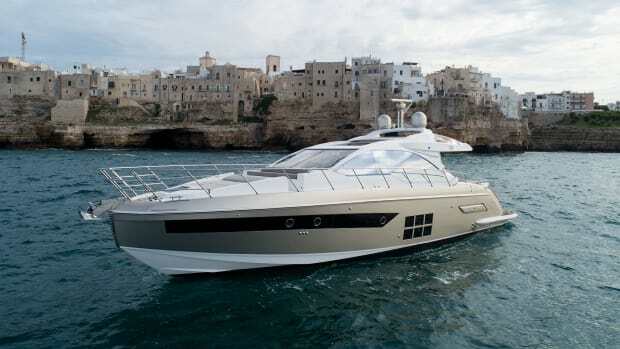 But one look at the 35 Metri and you know Azimut is pulling out all the stops. Huge windows affect the profile of the 35 Metri in a good way, particularly from inside. Taken in profile the yacht shows Righini has a new approach, perforating what would be the traditional sheerline to add not just one full-height window on the main deck, but two of considerable length. 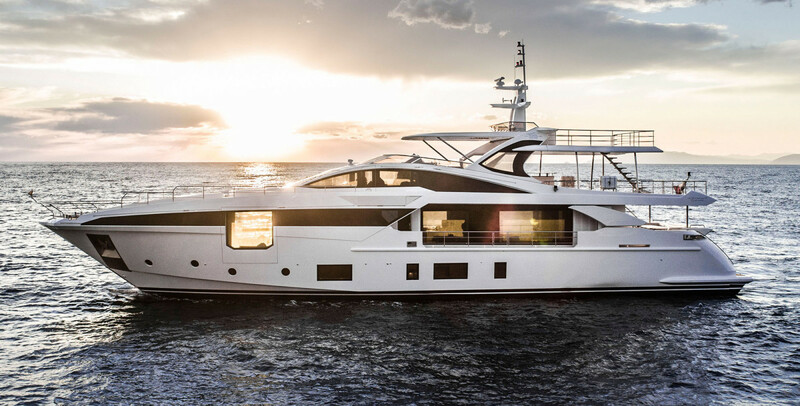 While the aft salon windows are large and the view apparently obstructed only by a sidedeck safety railing, the forward windows, both port and starboard, are located in the owner’s suite and open as part of what Azimut calls the largest extending terrace on the market. 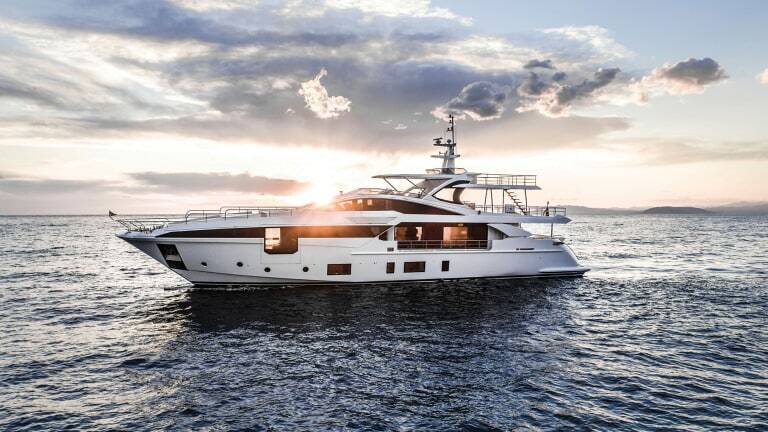 The 35 Metri is another riff in the melody begun by the 95 RPH, using the raised pilothouse to open up main-deck space for that on-deck master stateroom forward, replete with such sophisticated touches as his-and-hers heads and a sitting area positioned to allow owners to enjoy the view and terrace area. Another happy result is a lower deck opened up for guest enjoyment with two amidships VIP staterooms and a pair of guest doubles. There are also crew’s quarters for six forward and a hullside garage aft that can accommodate a 16-foot tender and a PWC. 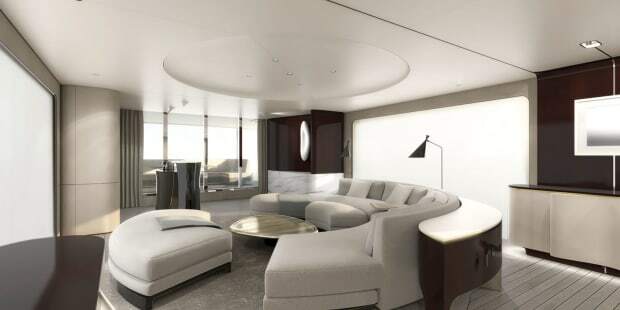 Salvagni’s understated interior tones capture the best of an owner’s imagination with comfortable and welcoming spaces. Outside areas are bookended by beach clubs at the foredeck and swim platform, with amenities ranging from sunpads and seating to a massage tub forward. Meanwhile, the top deck offers a variety of social spaces, from an array of chaises longues aft to a bar with stools, a formal dining table, a long J-shaped settee, and an alfresco galley. 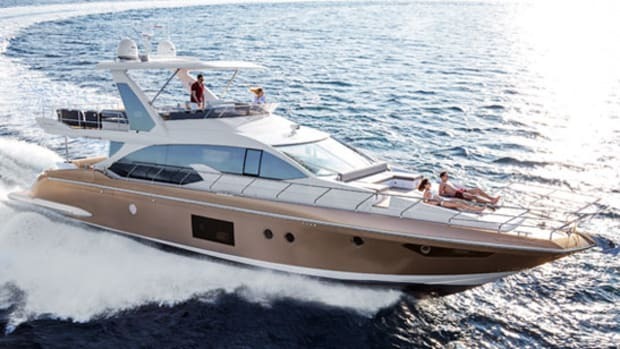 An optional, third-level sundeck cantilevered aft delivers even more sunpad space. As a wide-body design, the 35 Metri gives her interior designer, Achille Salvagni, plenty of space to shape a distinctive, ultramodern treatment. Beginning with the centerpiece, a circular sofa in the salon, he defines the interior using a blend of textures and colors that focus on the well-being of all who come aboard, according to Azimut. But this is a boat after all, and the well-being of those aboard must also come from other aspects of the build. 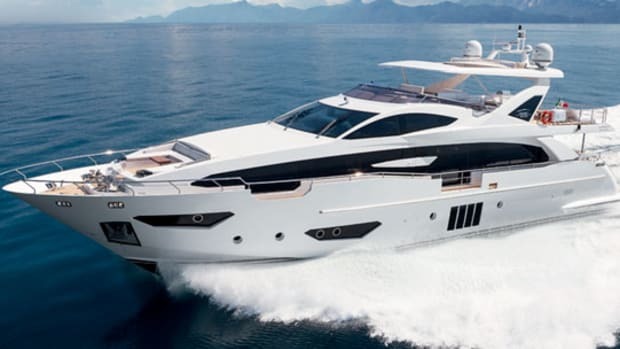 Dynamic stability is a core tenet of Azimut design and the extensive use of carbon fiber in her superstructure and flybridge helps keep the center of gravity where it should be. 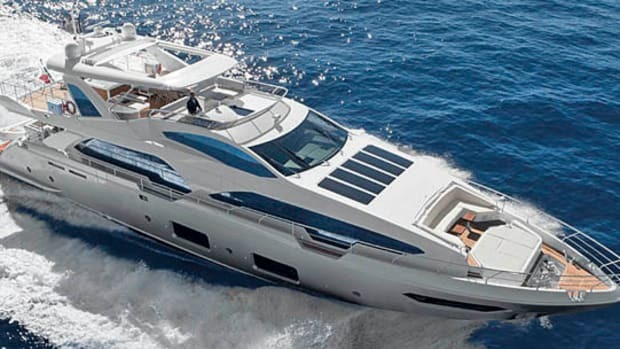 Combine that with the proprietary D2P Displacement to Planing hull designed as a cooperative effort by Pierluigi Ausonio and the Azimut Benetti Research & Development center and the result is a yacht that can make passages in comfort at displacement speeds of 10 to 12 knots for longer range. 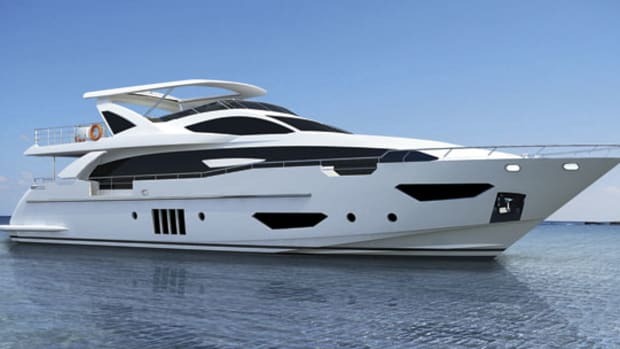 Cruising speeds of better than 20 knots are achieved with a pair of 2,400-horsepower MTUs, according to Azimut. 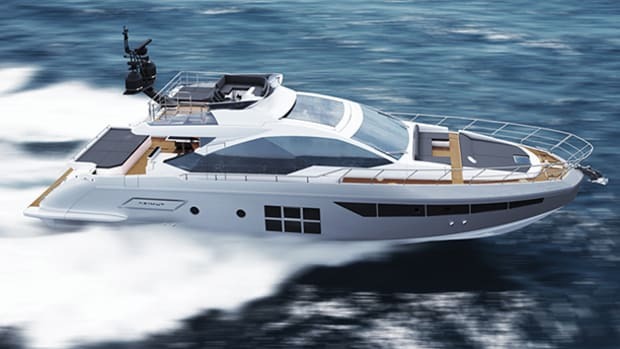 Azimut Yachts is bringing some of its disruptive ideas about performance and design to a segment that is seeing a flurry of introductions. Let’s hope the excitement continues to build.